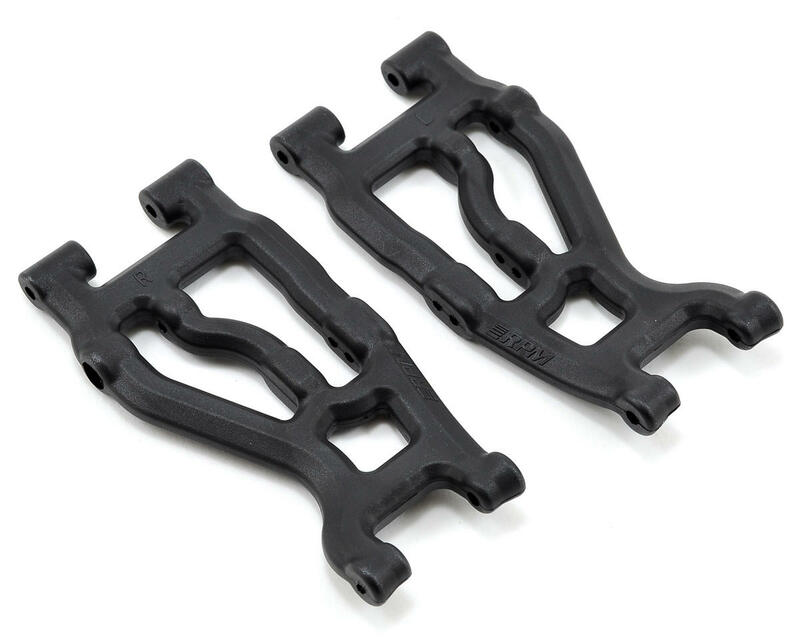 This is an optional RPM Front A-Arm Set, and is intended for use with the Axial EXO Terra Buggy. RPM A-arms for the Axial EXO Terra Buggy are designed with unique features found only on RPM A-arms. Things like 30 degree leading and trailing edges, oversized bosses for the hinge pin, shock mount and screws, as well as oversized areas that are larger in diameter by at least 10% and wider by as much as 65%! All of these features have been added to increase performance and durability over the stock parts. A full set of front and rear A-arms from RPM weigh in less than stock arms as well, shedding unsprung weight in the process of adding some much needed muscle. A final, critical touch eliminates much of the slop from the suspension and steering systems. Hinge pin hole diameters are now .118” (or 3mm), cutting nearly .004” (.1mm) of slop from each hinge pin! 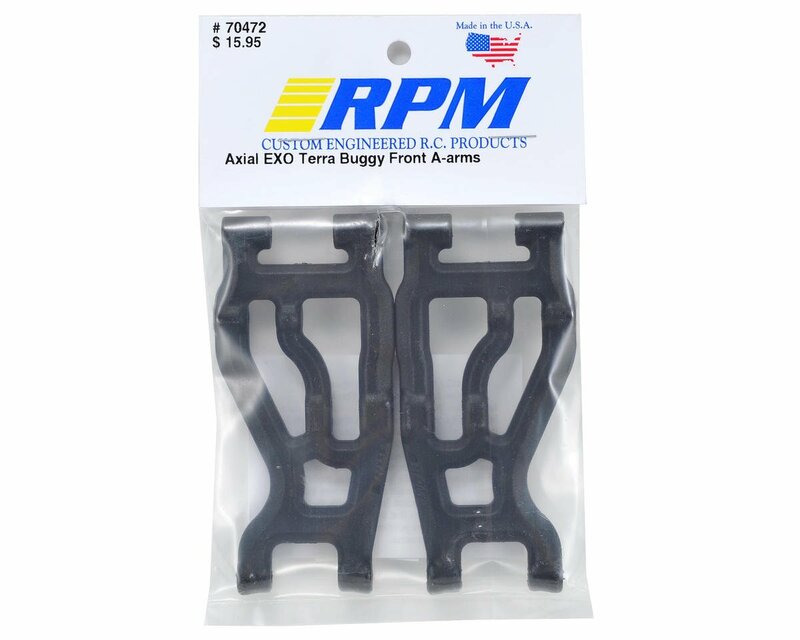 RPM EXO A-arms are molded from RPM's trademark blend of incredibly strong materials and are sold in black. All RPM molded products are backed by their limited lifetime warranty against breakage, so bolt a set on and feel comfortable knowing your ride is protected by RPM! NOTE: To reduce excessive free play in the suspension and steering systems even further, RPM recommends purchasing true, on-size 3mm (.118”) hinge pins to replace the 3x61mm threaded rod (AXIA0128) used at the inner hinge pin location in both the front and rear of the EXO (not available through RPM). Stock threaded hinge pins are undersized by .004" (.1mm). Will also work on the 1/10 Yeti. You will need AX30174 and AXA0181 for the outer hinge pins.